Have you always dreamed of marrying the one you love while standing on a beach in paradise? 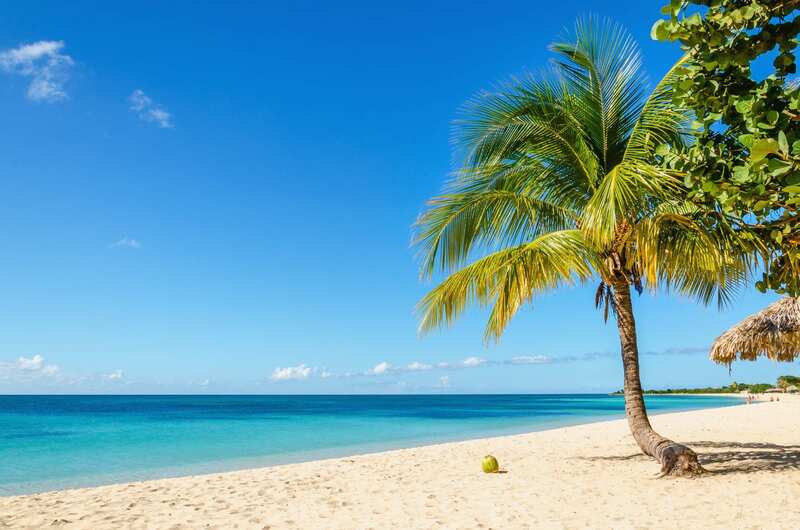 Our Omaha travel agents at Enchanted Honeymoons are here to make that dream a reality, with great destination wedding packages on the beautiful island of Jamaica! Our travel agents have years of experience when it comes to helping couples book their dream weddings in exotic locales. We work with the best resorts in Jamaica and will happily share advice on what sights to see and how to get the most bang for your buck. When it comes to your big day, you want everything to be perfect, and we can help. We have wonderful destination wedding packages available near popular areas of Jamaica, including Montego Bay, Negril, and Ocho Rios. It’s important to some brides and grooms that their family and friends are on hand for their magical moment. The flight from Miami to Montego Bay is less than an hour and a half, which makes travel easy for both you and your guests. Many airfare packages are available to make it an affordable trip, as well. The combination of balmy ocean breezes, the gentle sound of waves, beautiful stretches of golden sand, and a mesmerizing sunset creates a picture-perfect wedding setting. Many Jamaican resorts are situated on some of the most amazing beaches on the island, like Seven-Mile Beach in Negril. Best of all, most resorts provide affordable wedding packages for saying “I do” with your toes in the sand. Nothing is more luxurious and stress-free than an all-inclusive stay at a beachfront resort. Sit back and relax, knowing that everything is taken care of and enjoy all of the food and drinks you want. With everything paid for in advance, you can focus on the details of your ceremony and making great memories with your spouse and guests. If you are planning an intimate gathering for your wedding and want to have a secluded, romantic getaway, look no further than Jamaica. There are several adult-only resorts on the island where you can hold your destination wedding, including Sandals Negril Beach Resort & Spa and Secrets St. James Montego Bay. If you want to have a lot of family and friends there to celebrate your big day, you’ll want to be sure everyone can be included. There are several family-friendly resorts in Jamaica where all of your guests will feel welcome. The Jamaican people are known around the world for their warm hospitality. The spirit of the island comes to life every day in the friendly smiles, helpful service, and open nature of the locals who welcome millions of people to their island home every year. You can expect a relaxed and amiable experience with resort employees and local residents alike. Ocho Rios is home to a beautiful bay and other stunning sights. Ocho Rios is known for its arts, crafts, and shopping, so it’s great for those who want to experience more of the local culture and love finding souvenirs for themselves or loved ones. Also, be sure to check out the Blue Hole, White River, and Dunn’s River Falls for amazing views and hours of fun. For golfers, there’s the Sandals Golf & Country Club so you can golf while you’re in paradise. Call to learn more about destination wedding packages in Jamaica! Are you ready to plan your wedding in Jamaica? Call us at 402-281-3022 to speak with an Enchanted Honeymoons Omaha travel agent. Learn more about your wedding options and find the destination of your dreams!